The tourist industry started in earnest in Trillevallen in 1938 when Torsten Boberg built Trillevallen’s Högfjälls hotel and constructed the token lifts together with his wife. The lifts worked by pulling the visiting skiers with a snowcat between the hotel and the slopes. SWEEPING easy slopes OR steep black runs, WE HAVE Slopes for both beginners and more experienced skiers! 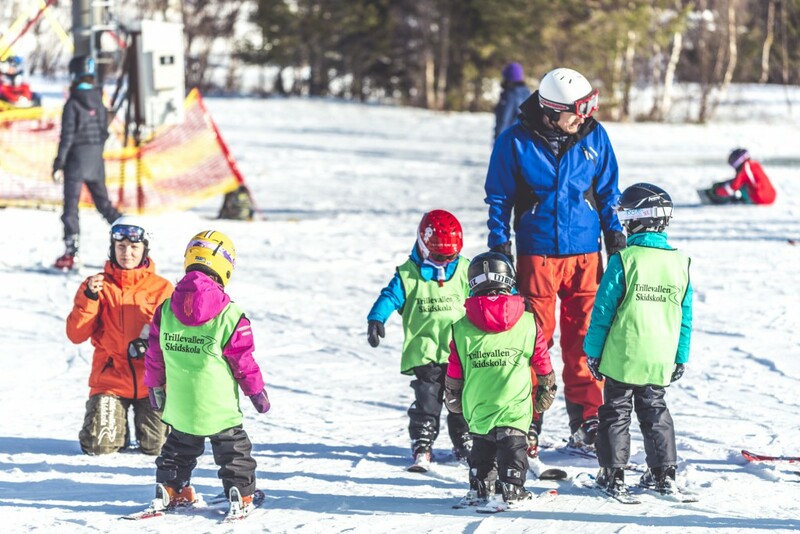 The thing that makes Trillevallen a family favourite, is it’s easy to understand ski system where parents are quite free to let children discover and develop in a stunningly alpine environment without having to worry that they go astray. 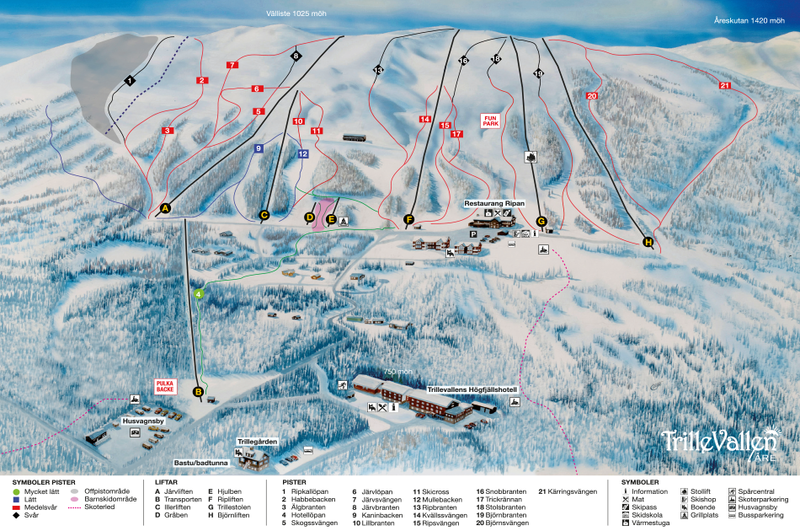 Both ski schools and ski hire are right next to the lift system. When you need a rest and the children show signs of hunger the restaurant Ripan is in the middle of everything. Here you have access to a warming hut where you can bring your own food and a large restaurant with refreshments. There are various lunch dishes and pizza on the menu. Swedish winters can be a little unreliable with regard to snow so we now make sure (with a little help from our snow cannon) that the season can start when we want it to, not when Jack Frost considers us ready. The lift system is open from the 22nd December. For school and group discounts ring for a quote, +46 646 360 95. Children up to 7 years wearing a helmet get a free ski pass if they are accompanied by a parent (with a valid ski pass). Special offer for season tickets for those who are resident in the county of Jämtland! We reserve the right to update, change or replace any part of these terms, including prices and printing errors. Parental pass Skipass valid for 2 adults, + 25% of the regular price. Trillevallen’s beautiful and varied slopes in the south of Åre are a perfect place for adults and kids to develop their skiing skills. 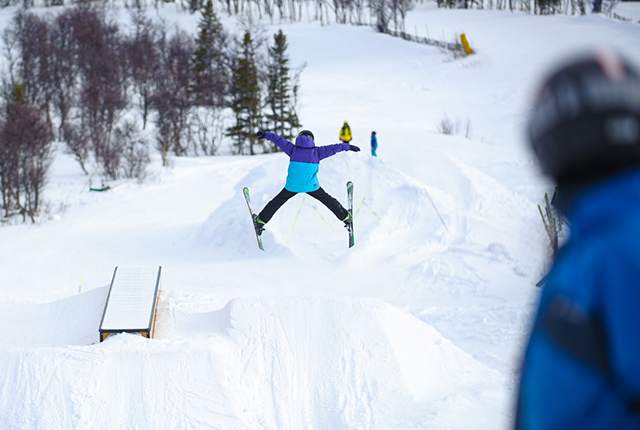 Book ski school for the kids, or take a lesson yourself to take your skiing to the next level. For many a course in carving technique is an opening to fun skiing. If you do not have your own equipment or could not be bothered to bring it with you it is not a problem. Jan Thander can help you to get what you need. Ski hire is located directly adjacent to the lift system, the touring and cross-country tracks as well as the restaurant Ripan. Here we start from the beginning in our family-friendly children’s area. It is important to understand how the skis and lift function. Soon we can stop, snow plough and ride the button lift. Here we start on the button lift and can stop and snow plough. Soon we become braver, more secure and get more speed with parallel skis. Our focus is on the tow lifts, long slopes and we challenge ourselves to try a more advanced technique. Here we start on the button or tow lift and can stop with parallel skis and can ski on most of the slopes. We develop carving technique in both short and long turns and practice position and balance for even cleaner cuts in the turns. We challenge ourselves to try longer runs, jumps, humps and fresh snow, for those who want to. Private lessons are given seven days a week and focus on your needs. Our expert instructors will help you to become a proficient and safe skier regardless of previous experience.